The Zonta Santa Run in Roseburg on Dec. 10 is one of the many festive ways to usher in the season of giving. Winter is quickly approaching. It’s in the brisk morning air, the mud on your shoes and the extra layer you throw on to go out and play. Runners know winter means some of the best (i.e. quirky and invigorating) races of the year in Oregon. Here are some of our favorite. Nov. 20: It’s a sea of orange and green pride at the Duck vs Beaver Rivalry Clash at Portland Meadows, when opposing teams line up at different start areas, come together to clash on the “battlefield,” and then merge together to race in spirited fashion. Run the 10K or 5K on a flat course through North Portland. Nov. 23: The Oregon Mid-Valley Road Race in Lebanon offers something for every runner: A 10K Scenic Challenge Run, 5K “To Hill and Back” Run, 2.5-mile walk with dogs welcome, and ⅓-mile kids’ dash. The event is a fundraiser to raise dollars to help meet medical needs for families in the Albany area. 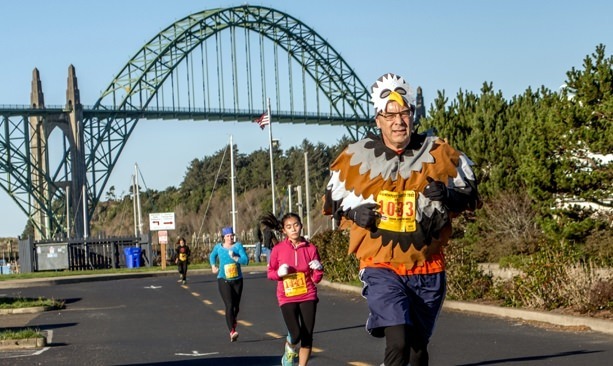 Nov. 23: Burn some calories at the Newport Arctic Circle Turkey Trot with a 15k, 10k, 5k or 1-mile kids’ run while taking in the view of the sparkling ocean, starting from the Port of Newport South Beach Marina. Wear your wackiest get-up for the costume contest. A portion of proceeds benefit Sam Case and Yaquina View elementary schools. Dec. 3: It’s that time of year again, to bust out your favorite ugly sweater and start singing “Jingle Bells” with warm mugs of hot toddies in your hand. The 3rd annual Klamath Ugly Sweater 5K Run includes a free kids’ run and doggie dash so they can be part of the fun too. Come to stretch your legs, stay for the post-run holiday treats and support Friends of the Children in the Klamath Basin. Dec. 2: What could be more fun than a Jingle Bell Run in downtown Bend? Wear a holiday-themed costume and tie jingle bells to your laces to run or walk a 5K with friends and celebrate the season of giving. Costume awards and a kids’ fun run with elves will happen too. Proceeds help raise funds to find a cure for arthritis, the nation’s leading cause of disability. Dec. 9: Road warriors, suit up for The Frozen Trail Runfest, a series of distances with challenging elevations and wet and muddy conditions on the flats, with some small creek crossings. There’s a 50K run as well as 15 mile, 9 mile and 5 mile, all starting from Buford Park at Mount Pisgah in Eugene. 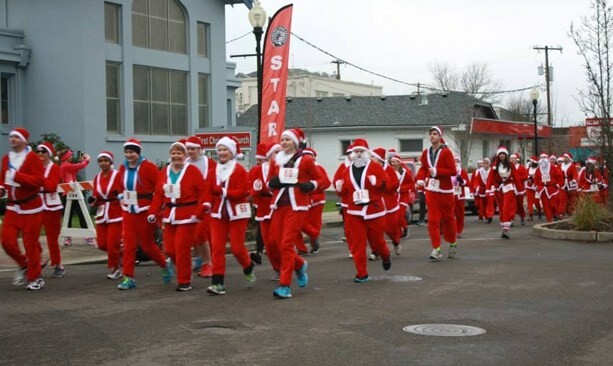 Dec. 9: See what it’s like to walk (or run) in Santa’s shoes, at the Zonta Santa Run in Roseburg. The first 250 people to sign up for the 10k or 5k runs get a Santa suit included in their race entry. 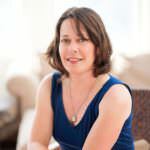 The Zonta Club of Roseburg helps empower women through service and advocacy. Run, Santa, run!